Squiders, I have lost my voice. This has made my normal wrangling of puppies and small, mobile ones more infuriating than usual. But, anyway, I’ve got a full household, so I’m going to declare a hiatus here at the blog until Thursday, January 4th. I shall see you then! Happy holidays, squiders, and I shall see you on the flip side. So, last week we talked about common issues with Point of View, and today we’re going to be looking at a specific, sneaky issue known as filtering. We talked briefly about filter words a few weeks ago, which is a related issue. Filtering is when you add something unnecessary that adds a layer between the reader and your chosen point of view. This is mostly an issue in first or third limited point of views, when you’re directly following a single character at a time. Filtering is also extremely subtle. As I mentioned last week, this is something I learned about this year. I belong to a specfic message board that does critique marathons twice a year. You submit a chapter each week for others to critique and then return critiques so everyone gets something useful out of it. And one of the other critiquers pointed out a few aspects of filtering in the chapter I submitted. And I learned something new, and it was amazing. She thought that perhaps he was cheating on her. I felt my stomach churn as I watched her walk away. Here it’s “felt.” And the “watched,” actually. Do you see the filter? When you’re sad, do you think “I am sad”? No. You just feel sad. Tears form in the corners of your eyes. Your heart sinks. Things happen. The same thing with characters. By adding words like “think,” “feel”, and “seem,” you take an action out of its immediacy and add a level of detachment. Was he cheating on her? My stomach churned as she walked away. Most filters are set up by mental verbs: think, feel, seem, wonder, decide, know, realize, etc. These are all things people do, but it’s not something they think about as they do them. And it’s really easy to have these instances sneak into your writing. It still happens to me all the time. But knowing what you’re looking for can help you edit these instances out later, or become aware when you’re writing. That being said, it’s still okay to use filter words occasionally. In dialogue, of course. For clarity or understanding, if the sense is important to the meaning of the sentence. And sometimes, there’s just no other good way to put something. Clear as mud, squiders? Thoughts about catching filtering in the writing stage without completely ruining your flow? In other news, I’m reading Ready Player One (because the preview for the movie showed in front of both Thor: Ragnarok and The Last Jedi and it looked pretty awesome) and loving it. I know I’m several years behind the times, but that’s how it goes. Feel free to share your thoughts on that too, but no spoilers, please, since I’m still a little less than halfway through. Hey, look, squiders! I actually picked a scifi novel out of the bunch for once! Let’s talk for a minute about the Oxford time travel books. There’s four novels and one novella in the series, and now I’ve read them all except for the novella, though Connie has it nicely available on her website, so I can get there shortly. (All five entries won Hugo awards, if you care about that sort of thing.) The premise is that sometime in the mid-2000s or 2100s (the Internet is telling me both and I can’t recall which is correct off the top of my head) time travel was invented. However, you can’t bring things through time, so commercial interest quickly died off and time travel became the realm of academics, “historians” who travel back in time to observe how life worked or important events, etc. There is some amount of “slippage” based on how far you’re traveling and how close you are to milestone events (which tend to be unreachable directly). The Doomsday Book is a play on the Domesday Book (pronounced the same way), which was produced by William the Conqueror in 1086 to take stock of the land and ownership thereof in England after the invasion. The Medieval department has just gotten access to the “Net” (the process that time travel works through) and are taking advantage of the history department head being MIA to send their first historian back to 1320. The 1300s have a danger rating of 10 (because of things like the Black Plague) so they’re supposed to go through a bunch of tests before sending people, but screw that. Nothing can go wrong, right? 20th century has been sending people forever. Of course, things go wrong. Like most of the series, the book switches between “modern day” Oxford and the historian (Kirvin, in this case) in the past. (To Say Nothing of the Dog stays in Ned’s point of view throughout, if I recall correctly, but he’s going back and forth through time so often that he can carry both time periods on his own.) An interesting mechanic of the time travel is that time is equivalent. So if you want to spend a week in 1918, for example, a week has to pass in the current time as well before you can be picked back up. This makes missing your “drop” a big deal as you can’t just go back and try again. There are some comedic elements, such as when Kirvin realizes basically everything she learned about the time period is incorrect (and her attempts to understand and speak Middle English) and the general snarkiness of Mr. Dunworthy’s thoughts (he’s our viewpoint character in the “present” day) and Colin in general. (I ♥ Colin, and he’ll be back in Blackout/All Clear.) But this book is closer in tone to Blackout/All Clear, more serious, and it doesn’t shy away from the less appealing aspects of the time period. Overall, it’s a good book, especially once it gets moving about a third of the way through, though I like the later books in the series better. It’s always nice to see reoccurring characters (Mr. Dunworthy is a constant throughout all the books) again, and the comedy is spot-on when it’s present. I’d recommend it, especially if the series sounds interesting to you. Back Thursday for more common writing mistakes. Read any of the Oxford time travel series, Squiders? Thoughts? Which one is your favorite? Happy Thursday, squiders! I’m doing #SFFPit over on Twitter today, so if you follow me there I apologize for the amount of pitch tweets you may or may not be seeing. Before we get going, I just want to talk briefly about filtering. This is something I didn’t know about, or least didn’t have a name for, until earlier this year. Someone read my first chapter for me and pointed out a couple of instances. Just to show you that there are always new things to learn. First off, to review, your point of view is, according to Google’s dictionary, “the narrator’s position in relation to the story being told.” In almost all cases, this will be either first or third person. If you get confused, I like to compare it to Close Encounters of the Third Kind. The “person” in this case refers to how close the reader is to the narrator. In a first person narrative, the reader is directly in the narrator’s head. First person point of views are characterized by using “I,” “me,” and associated words when referring to the character. Example: I realized that, once again, I was cutting my blog writing close. I would need to leave soon or I would be late. Third person is more distant, and the character is referred to by their name and the appropriate “he,” “she,” “it,” etc. words. Example: Kit realized that, once again, she was cutting her blog writing close. She would need to leave soon or she would be late. Third can be further broken down into limited and omniscient viewpoints. With third person limited you’re in a single character’s head at a time, going along with them, hearing their thoughts and experiencing their feelings. It’s similar to first person, but a step away. Third person omniscient is like you’re in a hot air balloon looking down on what’s happening. You can see what a bunch of people are doing at once. Some people also make a distinction between omniscient and what can be called third person objective. In an omniscient point of view, like a god, the narrator knows what everybody is thinking or feeling. In an objective, they don’t. Understanding and sticking with your chosen point of view can be hugely helpful in solving a ton of issues. It is surprisingly easy to slip out of your chosen point of view. Your character can suddenly know something they shouldn’t, for example. Perhaps the easiest and most common way people slip out of their point of view is by “head-hopping.” This is where you jump from your viewpoint character’s head into another character’s head. In an omniscient third viewpoint, you can get away with this (provided you are using omniscient properly), but in every other viewpoint it is jarring. Example: Jane bit her lip, watching Jared walk away. God, how she hated to watch him leave, despite the great view. How could he leave her like this? Jared looked back over his shoulder. Jane looked like she might cry. Do you see the point of view slip? It’s a bit subtle. We’re in Jane’s head, hearing her thoughts, her feelings. We see what she sees. Can you see what you look like? No. That’s Jared’s point of view. NOTE: You can use more than one point of view in a book. Just stick with one at a time. Using our above example (and, indeed, many romances are structured this way), you could do one chapter from Jane’s point of view, the next from Jared’s, etc. In most cases, it’s pretty instinctual what point of view will work best, based on the story you’re trying to tell, your genre conventions, how many characters have viewpoints, etc. But it is possible to choose the wrong one, and it basically boils down to your chosen viewpoint not having–and not being able to get–information necessary to the completion of the plot. Sometimes the character you pick initially just isn’t the right person to tell the story. That’s not to say that there aren’t published books out there that do this (if you try hard enough, you can find most of these common mistakes published somewhere), but the story tends to be unsatisfying, sometimes in a way that a reader can’t put their finger on. A way that authors get around this with varying degrees of success is to include one or more chapters from a side character to provide the information. This one is highly subjective and depends on the genre as well. In a romance, you’re going to want one or two viewpoints. In a thriller, you can have one off chapters from any number of unimportant characters that never have viewpoints again. The issue tends to be the most apparent when you have several viewpoints that are all vying to be important in some manner. Important viewpoint characters need to be important to the plot, which means you need to check in with them fairly regularly, they have to be advancing the plot or a subplot every time they show up, they have to be interesting, they might need a character arc, etc. If you have two characters, this isn’t bad. Three? Sure. Some people can manage five or even seven. But eventually, there’s too much going on, too much to keep track of, too much, too much, too much. A lot of times those characters can be cut or combined to make a tighter, more enjoyable read. Other viewpoint issues, squiders? We’ll talk about filtering in part 2 next week. I realized I never introduced you guys to Jorge. 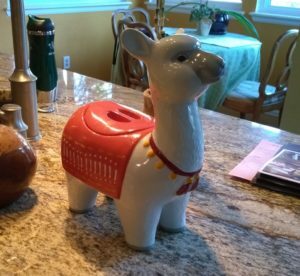 My sister likes to think she’s funny, so for my birthday (back in October), she got me a llama (or possibly an alpaca?) 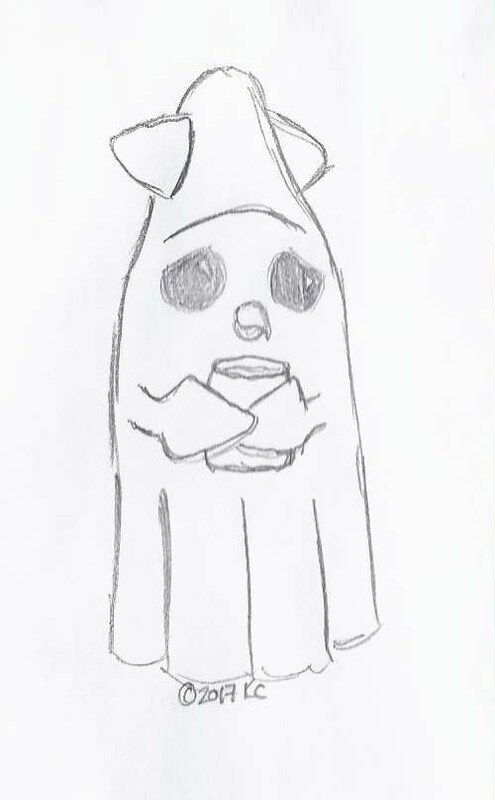 cookie jar. But then I embraced the madness and named him Jorge. 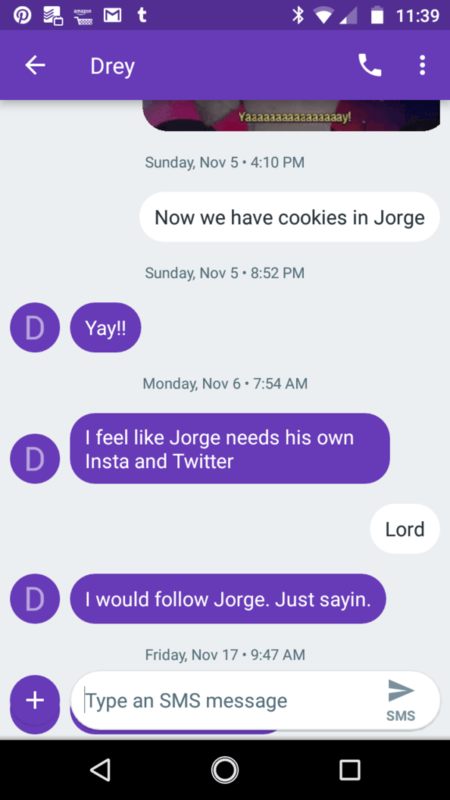 My sister has, of course, been quite pleased by Jorge’s new place in our lives. Anyway. Here’s Jorge. We may be seeing more of him in the future. Common writing mistakes on Thursday. We’ll be talking about point of view issues. Ta, squiders! Hi, squiders! Today we’re going to talk about tenses and passive voice, since they tend to be related, and because this is a good segue from our grammatical issues into our storytelling issues. Tense in this case refers to the form of verbs used in the prose. In English we have three major tenses: present, past, and future. In most cases, you be writing in either present or past tense. Present tense: I type this while I wonder where I put my tea. Past tense: I typed this while I wondered where I put my tea. NOTE: Just because you have a main tense for your writing doesn’t mean you won’t occasionally use other tenses WHEN APPROPRIATE such as in dialogue or in complex sentence structures. Voice in this case refers to the voice of the verb. In English, verbs can be active or passive. Active voice: I type this. Passive voice: This is being typed by me. The difference between active and passive voice is in the subject. Is the subject doing something (active) or having something done to them (passive)? By far the biggest mistake made with tense is tense consistency, i.e. staying in the tense you’ve chosen for your writing. Have you ever started writing something in past tense only to find that somewhere along the line you accidentally switched into present? This can happen for a number of reasons: you were writing in a non-preferred tense and your brain switched over to your normal one automatically, you started a new day of writing without remembering where you were or what you were doing, you switched tenses for a particular reason–such as a flashback–and forgot to switch back, etc. The good news is this is pretty easy to catch when you read back through your work. Tense switches stand out. They’re a bit harder to fix, however, because you need to go back through and correct verb forms throughout, and also make sure the sentence still makes sense grammatically. If you find you’re often switching tenses without noticing, it may help to put a note somewhere obvious–such as a sticky note on your monitor or even a note in the header of your document–about what verb tense you’re using. (It can be as simple as “Past tense.”) This can also be helpful for remembering point of view, which we’ll discuss next week. Passive voice is okay in small doses–and, indeed, in some cases, it’s preferable to use passive voice. When you want to emphasize something, if you don’t know who is doing a specific action, when the person doing the action doesn’t matter, if you’re stating a general truth, etc. In general, however, using passive voice creates clunky, unclear sentences that can drag down your pacing and the flow of your writing. This post is being written by me. It is being written on a computer. It should be stopped soon so I can run an errand. The sword was swung by the hero toward the villain. Dodging, the villain’s spell was released. Passive voice can often by identified by some form of “is”: is, are, was, were, has been, etc. And if you take a closer look at the sentence, the “active” party (whatever or whoever is doing something) has been pushed into the object portion of the sentence while the object has become the subject. Using a passive sentence here and there is fine. But routinely using them doesn’t work in most cases (excepting academic papers in some fields). Unfortunately, if you find that you’re using a lot of passive voice, you’re probably going to have to train yourself out of it, or else face a lot of rewriting in your revision process. Passive: This post is being written by me. It is being written on a computer. It should be stopped soon so I can run an errand. Active: I am writing this post. I am writing it on a computer. (Or even better: “I am writing this post on a computer.”) I’ll have to stop soon so I can run an errand. Clear as mud, squiders? Questions about tense or passive voice, or other issues you’ve noticed with these subjects? Well, squiders, I’ve gone through my bookshelves and picked a book for us to try for our first stand-alone book readalong. I’ve picked Dream Thief by Stephen R. Lawhead, which is a science fiction novel from the early ’80s. I think I picked it up from Goodwill at some point some years ago. I was originally looking at Neal Stephenson’s Cryptonomicon, but at almost 1200 pages I thought that might be too long for this sort of thing. Dream Thief is slightly under 500 pages, at least in my copy, which is from the mid-90s, and has fairly large font, so it shouldn’t be too bad. I’m going to give us until January 16 to read this so we have plenty of time to survive the holidays and whatnot. Just a reminder that we’re playing with the readalong format here. If we don’t like the standalones, we can go back to the series, or we can do a mix of standalones and series moving forward. So, read along, as usual, if this sounds interesting, and we’ll discuss in mid-January. Every morning Dr. Spencer Reston, dream-research scientist on space station Gotham, wakes up exhausted with the nagging feeling that something terrible is about to happen. Spence soon discovers that he has become a vital link in a cosmic coup masterminded by a mysterious creature known as the Dream Thief . . . and all civilization hangs in the balance. Common writing mistakes on Thursday! See you then!